Issue 2, Christmas and 2016...It's coming! Well issue 2 is almost finished! Just waiting for the last couple of bits of content before we go to print first week of December. I've been overwhelmed by the continued support and positive feedback from readers, businesses and kind people for their re-tweets. This issue is bigger and better jam-packed full of content. I actually ran out of space fairly early on, so I just made it bigger haha. It's been a privelage once again to interview some of the ladies in this one: The amazing TV Actress Amanda Mealing (famously known for playing Connie Beauchamp in Holby City and Casualty) who has always had a great love of motorsport and loves riding her BMW R Nine T. Also deaf US Motocross World Champion Ashley Fiolek on her extremely successful career in Motocross and developing a MX School dedicated to provide others (especially women) better opportunities to learn this awesome sport. Then there was real-life Superwoman Amanda Foster (the UK's very first black Stuntwoman) on being a double to some of the world's biggest Hollywood stars, the strength and determination it took to train to do it and her passion for riding. These are just some of the increadible stories I can't wait to share with you. 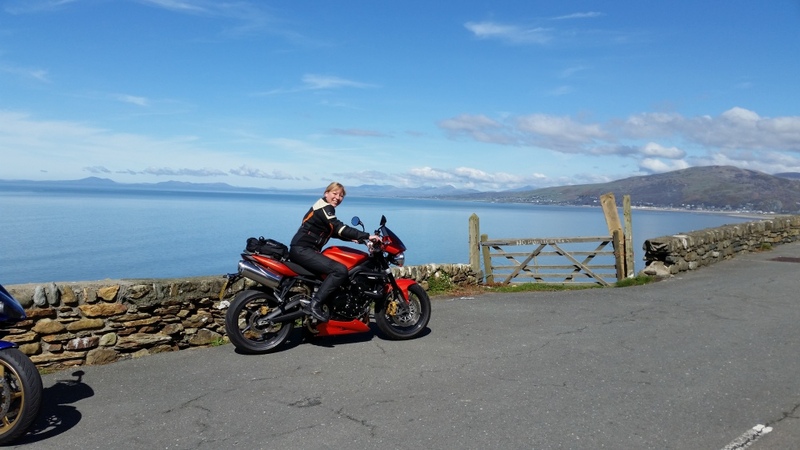 I also chatted to Author of Motorcycle MC Thrillers, Karina Kantas, Director of Safety for the MCIA Karen Cole and IAM Group Secretary Sue Rallison. Not to mention our coverstar and up-coming female racer Lara Small. This next issue, I've decided to do the same for a charity called Riders For Health, who do amazing work providing and maintaining vehicles for Doctors and Nurses to reach patients in Africa and providing them with vital care. Check out the story of Manyo, a Midwife travelling miles on motorbike to give urgent aid to pregnant women in rural places. So without further ado, I really hope you enjoy issue 2 and have a wonderful Christmas and New Year. I'll see you on the flipside. 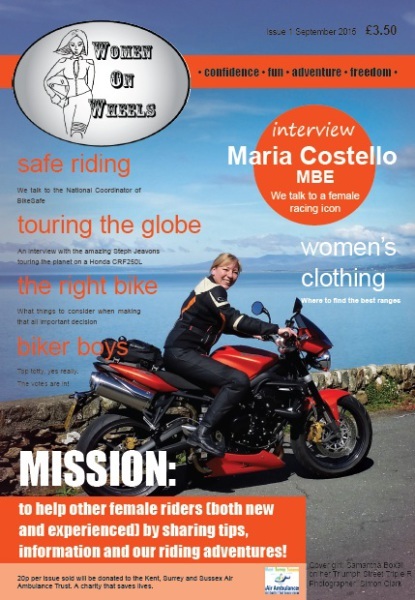 Women On Wheels UK female biking magazine BLOG!